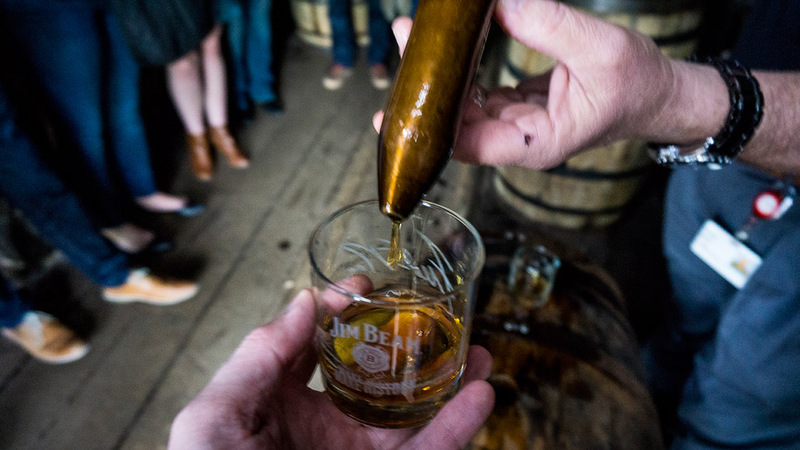 95% of all the world’s bourbon is produced in Kentucky, and 50% of that comes from Jim Beam. 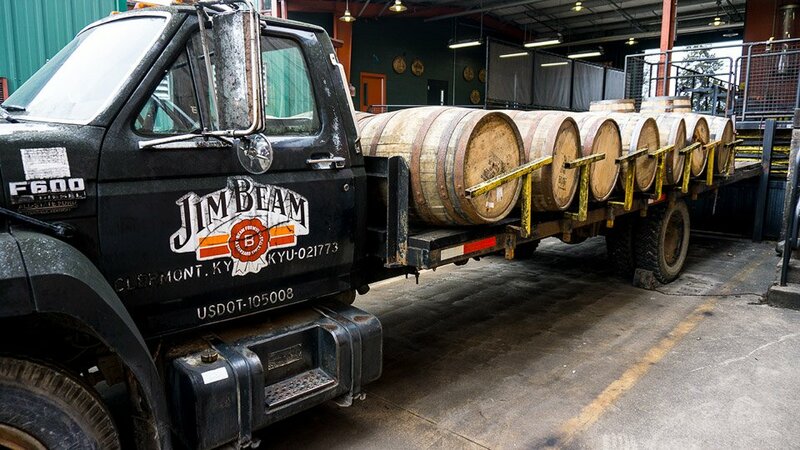 Take a tour of their Clermont Kentucky distillery and you’ll see Beam family history everywhere, proving that big doesn’t mean cold or impersonal. 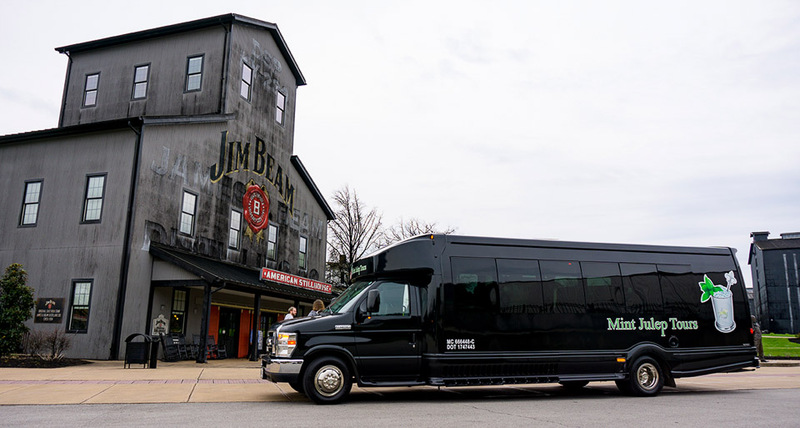 When you take any tour on the Bourbon Trail, we recommend having someone else drive so you can fully enjoy the distiller’s wares. 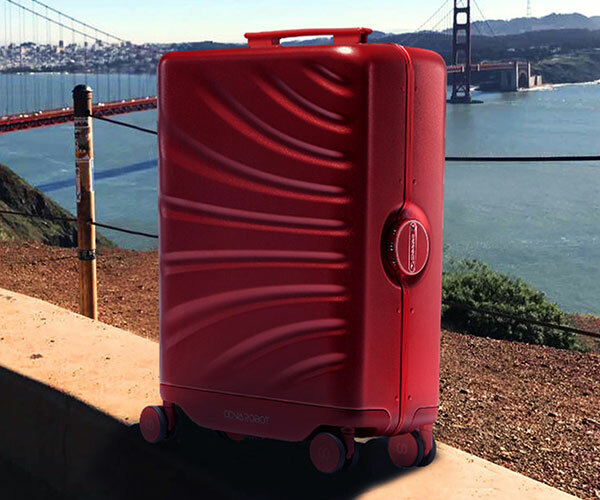 There are several tour operators to make sure you get there and home safely. 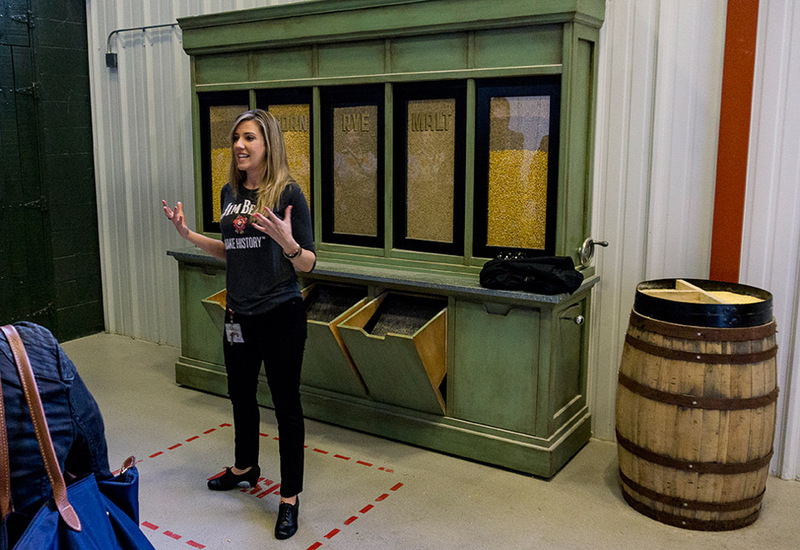 Like all bourbons, Jim Beam is mostly corn – at least 51% by law – mixed with rye and malted barley that’s fermented with the company’s patented strain of yeast that’s DNA tested to ensure consistency from batch to batch. 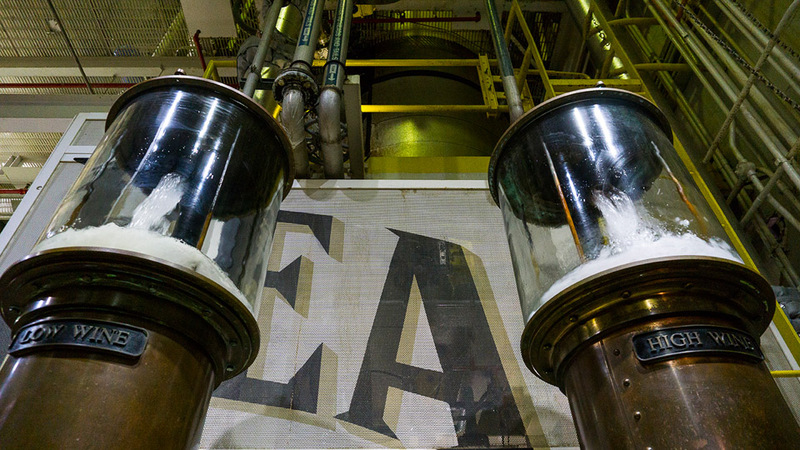 The mash (grain mixture) is brewed in a 45,000 fermenting tank. Beam has 19 of these on site. It takes 500 gallons of distiller’s beer to fill one 53-gallon whiskey barrel. 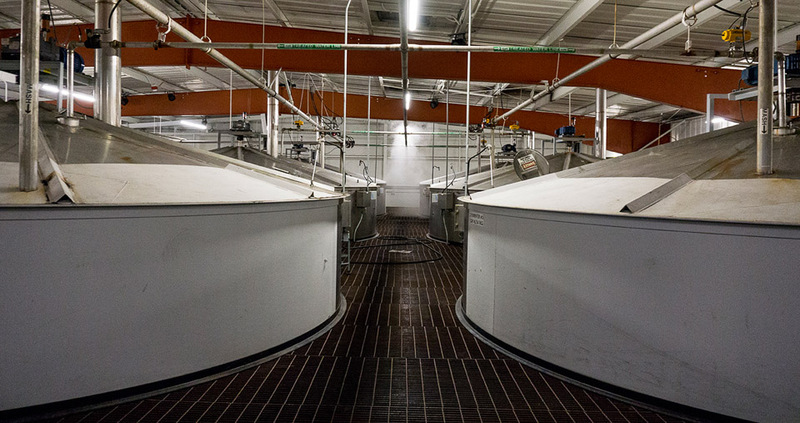 The mash is distilled into Low Wine then sent to a doubler, where it’s concentrated and comes back as High Wine. The pure grain spirit has a very high alcohol content and is cut to 125 proof. The barrels are made of White Oak and burnt to a level 4 char. 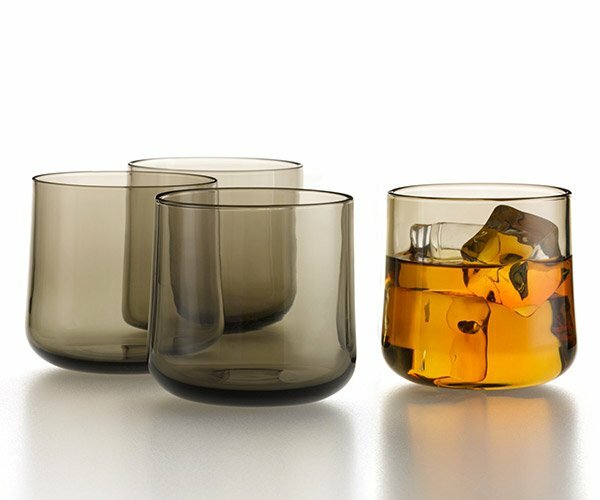 This gives the whisky its Amber color. 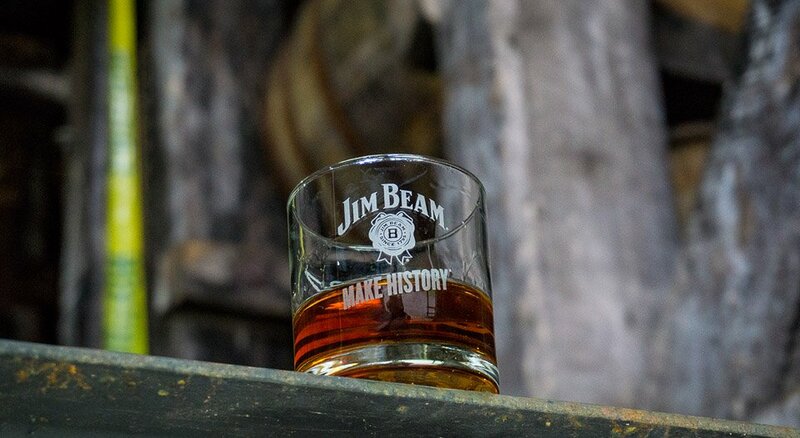 The spirit is aged for at least 4 years for Jim Beam White, 6 to 8 years for Jim Beam Black. 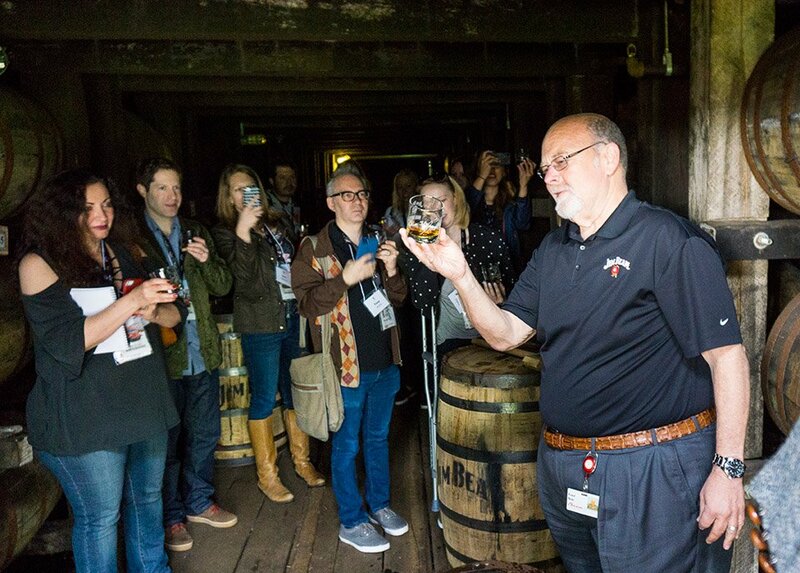 Jim Beam’s great-grandson and 7th generation master distiller, Fred Noe, opened a barrel in the rack house and shared some Jim Beam Black that had been aging for 6 years. 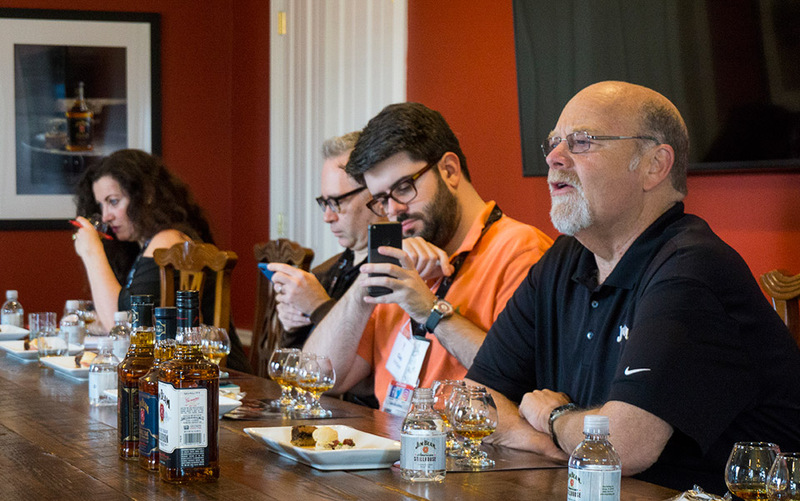 Using a copper siphon to remove the bourbon from the barrel is a process called “barrel thieving.” These tastings are how the master distiller knows the bourbon is ready for bottling. At this point the “barrel strength" bourbon is over 125 proof. 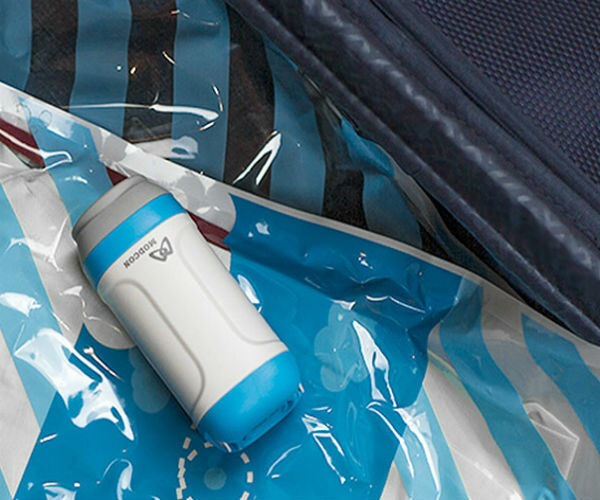 The taste is rich and complex, with a very strong alcohol note. 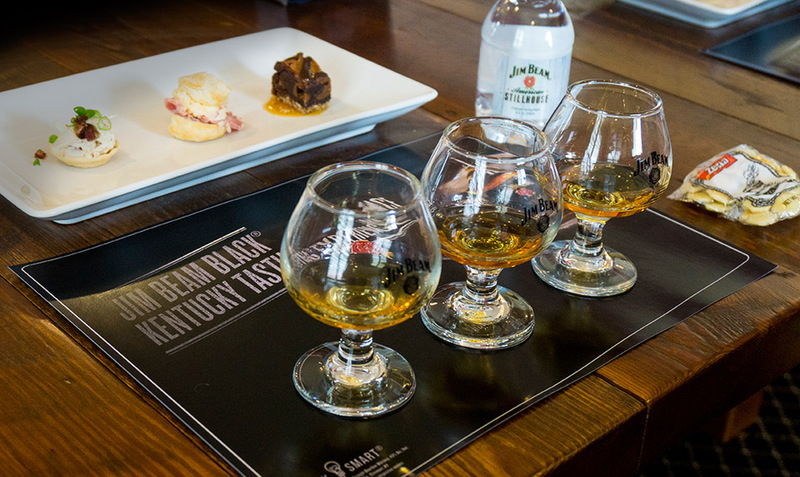 In the tasting room a sampling of Jim Beam White, Jim Beam Black, and Jim Beam Double-Oaked revealed the difference between the three. 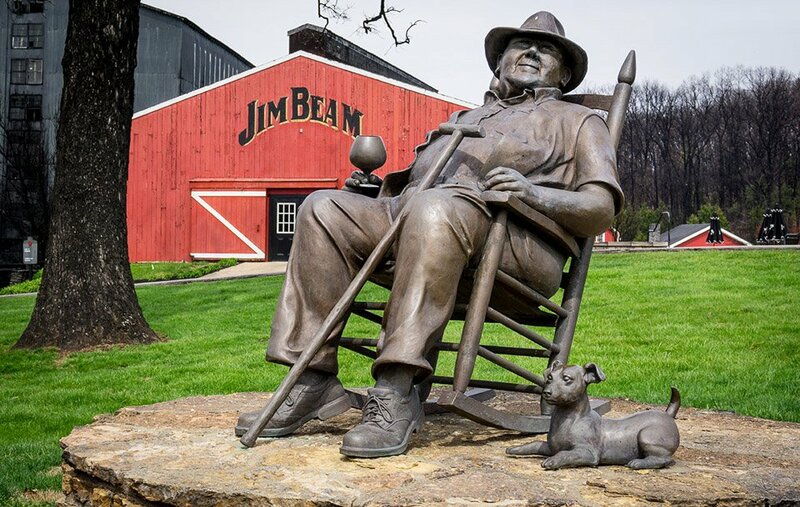 While Beam’s size, ubiquity and popular price lead some to think it’s just an ordinary bourbon, Jim Beam Black Extra Aged won the Bourbon Trophy at the 2016 International Wine & Spirit Competition, something Fred is very proud of. 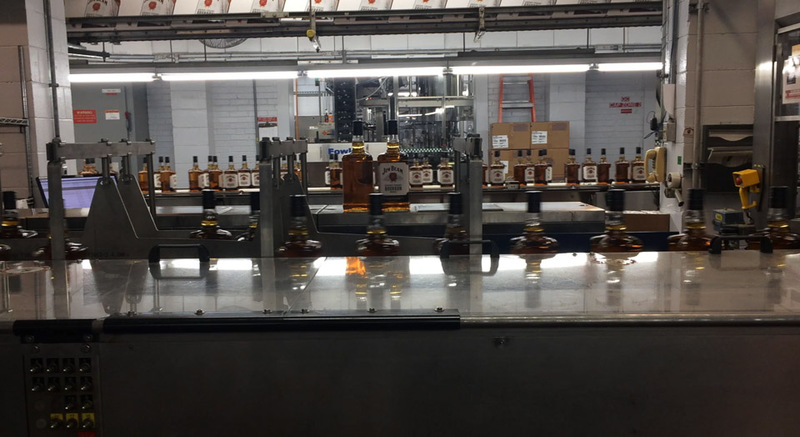 The bourbon is blended with other barrels from the rack house, filtered, and finished so it has final alcohol content of 40% for Jim Beam White and 43% for Black. It’s bottled and ready to enjoy. 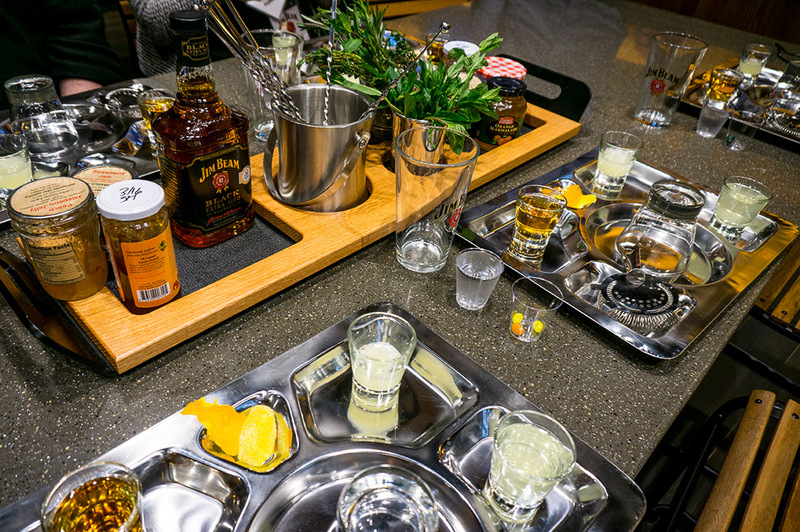 We spent some time in the company’s Urban Stillhouse in downtown Louisville to try our hand at making cocktails from a wide range of ingredients. 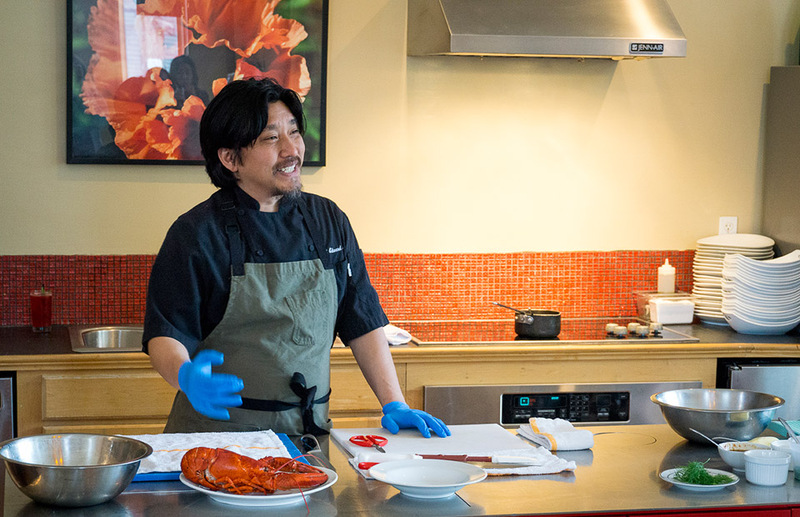 Our dinner that evening featured bourbon-inspired dishes created by Top Chef favorite, Edward Lee, in his Louisville restaurant 610 Magnolia. The menu featured lobster salad, braised short ribs and bourbon drinks paired with each course. 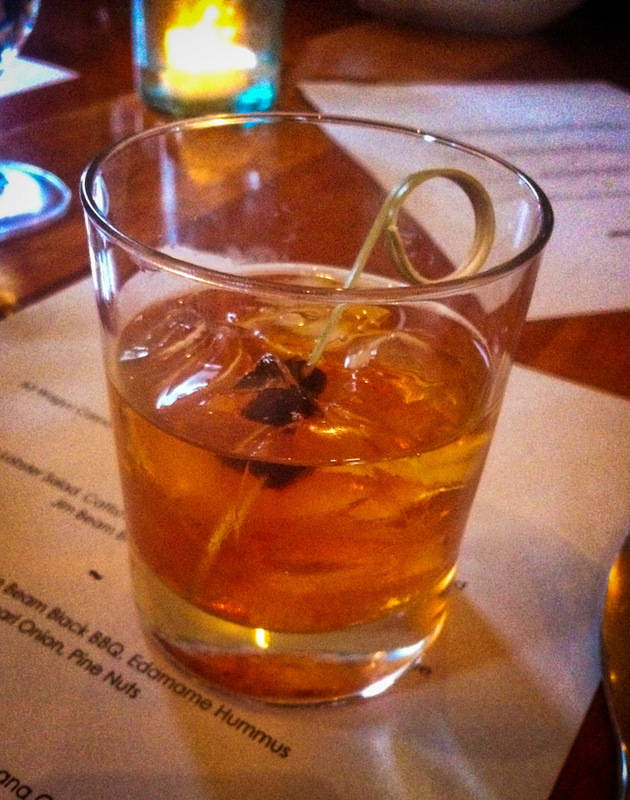 One of our favorites was a Jim Beam Black baked apple Old Fashioned, that had just a hint of cinnamon. A great way to cap off an amazing day.